This amazing fever will satisfy us! Love you! Love you! Forever! This wild fever can't be held back! Love you! Love you! Only you! This is our first review of a Japanese tip box. I bought it at the Leipzig bookfair this year. It just caught my eyes, because I had seen it before in another maid café, so I just bought it. 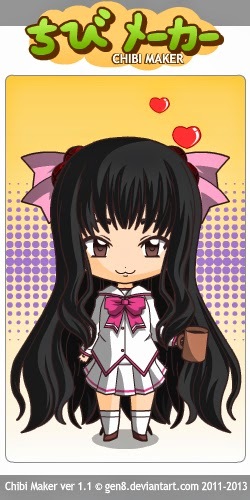 I will also use it for the maid café I'm working, together with all the other Pastel Girls. It is quite funny and cute and a good way to make people happy, the moment they are giving a tip. It is like a nice "Thank-You". The cat is so cute, just as Sandy's snigger in the video. It isn't something really hightech like, but quite cute and an absolute plus to your café. If saving money is one of your goals for the year, then here's a great way to do it! This amazing product from the Shine corporation features a box, but hidden inside is a cute little cat who will pop out and paw away at any money that's left on the plate. The cat will make meowing noises too! So adorable you'll want to see it in action again and again. Measures 10x12x10 cm (4x4.7x4 inches). We just can advice to buy one as well. Jlist is selling some of them http://www.jlist.com/product/FK596. Just spend a look here. I hope you liked our little unboxing. See you soon again guys! Sandy is practically always sipping at a can of energy drink! Lu can play the guitar and sing very well! Minah is a huge fan of Disney's Movie "The Lion King"! Lauri visited Japan once so far, she will definitely repeat this journey! This time it's our first make-up "tutorial" rather sharing a cosplay make-up. I am recently hooked on the anime "Kuroko no Basuke". Well yes it's another sports anime.... and yes it's also another(!) anime regarding basketball... but hey, the characters are designed so lovely and they all have so interesting personalities you can't stop watching it. My favourite guy is actually Hyuuga shhh :) This anime contains friendship, ambitions, hard working, jokes and puns and stuff like that. Well because I'm going to cosplay Momoi Satsuki I thought I could share my try on her make-up and so on. Although she can be annoying sometimes... She is wearing a school uniform that's enough fillip to cosplay~ I love uniforms haha. 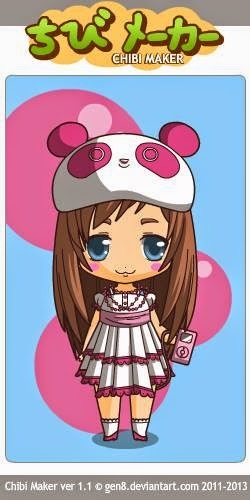 I already had these pink contact lenses (my Cure Muse/Pretty Cure Cosplay) and I always wanted to wear a pink wig! 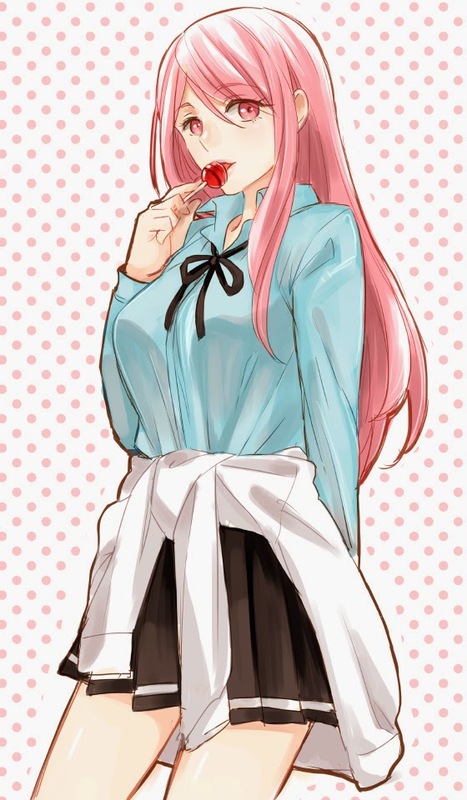 So exciting~ The school uniform is the one Momoi is wearing when she was at Teiko Junior High School. As soon as I made some pictures of the finished cosplay I will add them here! Please enjoy watching the video below and feel free to ask or comment of course! ^__^ Especially tell me your opinion on the false eyelashes, I'm not sure about it! Lauri has a little dog called "Sumo" which you sometimes can see on her instagram! Sandy is also called the "Alpaca princess"! Lu was living in South Korea for quite a long time! Minah would kill for a cup of coffee! November 20th 2014 the third movie of "The Hunger Games - mockingjay" will be played in German cinemas. Are you excited? ≧°◡°≦ Of course we have all read the novels by Suzanne Collins already and want to know how it will turn out on the screen - especially including the wonderful actress Jennifer Lawrence! So we wanted to make the waiting time more enjoyable. We invited our friend Jani who is a member of indie idol group Renai Revolution to help us with her knowledge about hairstyling! We think she did a great job and we hope you like the result. Don't you think this hair style looks even more crazy with Sandys 2-colored hair? You can watch the video below. Enjoy! Lauri is the queen of wearing false eyelashes! Lu adores the smell of laundry detergent! Minah is the smallest PastelGirl whereas Sandy is the tallest PastelGirl! We uploaded quite a lot of make-up videos on youtube. Today's topic is all about make-up! How are you doing your make-up? How long does it take to finish your make-up in the morning? What's your favourite make-up for the evening in a club or for dinner? Please tell us, we are curious!! All Pastel Girls are sometimes working as maids in a maid cafe. You probably know this phenomenon from Japan where girls put themselves in a lovely maid dress and serve delicious often sweet things. It's an enjoyable but also stressful job. <3 But we love it~ Hopefully we will have our original maid uniforms in future. When the time has come we will post photos of course! On Valentine's Day we uploaded a dance cover wearing maid dresses. It has been watched already almost a 1000 times! Thank you!! We uploaded a new dance cover. This time it's Minah dancing to the vocaloid song "Melancholic" which is sung by Rin Kagamine. 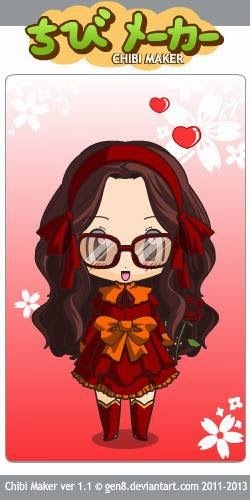 Lauri found a chibi-maker. 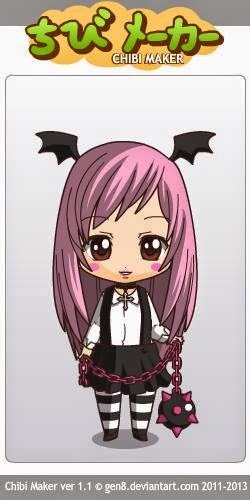 You can create yourself a chibi with it! Let's have a look at the Pastel Girls chibi characters! Thank you for more than 300 subscribers on youtube! We were really surprised and decided to make a giveaway. Our very first giveaway ever! What's the prize? What do you have to do? Please watch this video for more information (eng sub)!